Born just fifteen months apart, Subhash and Udayan Mitra are inseparable brothers, one often mistaken for the other in the Calcutta neighborhood where they grow up. But they are also opposites, with gravely different futures ahead. It is the 1960s, and Udayan--charismatic and impulsive--finds himself drawn to the Naxalite movement, a rebellion waged to eradicate inequity and poverty; he will give everything, risk all, for what he believes. Subhash, the dutiful son, does not share his brother's political passion; he leaves home to pursue a life of scientific research in a quiet, coastal corner of America. But when Subhash learns what happened to his brother in the lowland outside their family's home, he goes back to India, hoping to pick up the pieces of a shattered family, and to heal the wounds Udayan left behind--including those seared in the heart of his brother's wife. 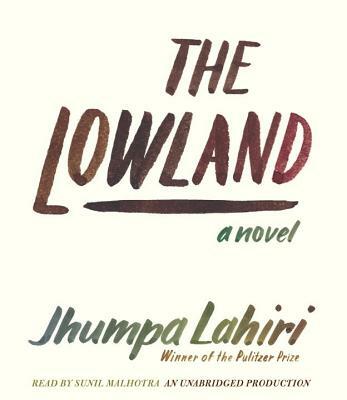 JHUMPA LAHIRI is the author of Interpreter of Maladies, awarded the Pulitzer Prize and the PEN/Hemingway Award; The Namesake; and Unaccustomed Earth, a #1 New York Times bestseller and a New York Times Book Review Best Book of the Year. A recipient of a Guggenheim Fellowship, she was inducted into the American Academy of Arts and Letters in 2012. She lives in Brooklyn, New York, with her husband and 2 children.